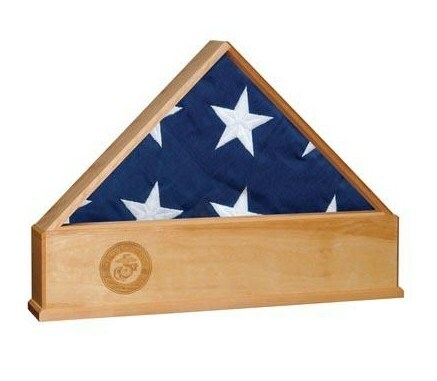 This is a solid oak US Flag Display Case, handmade in the USA. Designed to hold an official, 5′ x 9’6″ US Interment Flag, this display case also features a laser engraved US Marine Corps emblem. The display case has a solid glass pane, and a uniquely designed, easy open back. Sometimes random things look great together. No rules for me!